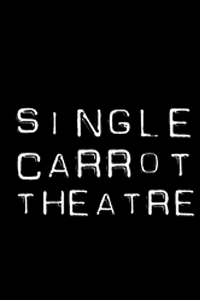 Single Carrot is no stranger to risk-taking, and we love any opportunity to explore unconventional art forms, expanding our definition of what is “theatre.” With our eye toward theatrical innovation that excites and inspires our audience and artists, we’re creating an all-new series to complement our Main Season. Immersive, interactive, site specific, and full of laughter, song, movement, and mania, The Single Carrot Flip Side is designed to take what you think yo know about performance and flip it on its head. 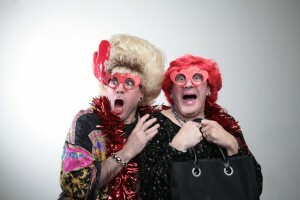 From the goofballs that brought you Soulstice: A Very Goldberg Christmas Cabaret and Singalong comes a Valentine’s Weekend edition: a meditation on love and hate, through songs both sweet and sour. and Skype to engage the audience in our heroine’s effort to save the world. Audience members contribute their intelligence to help save the day, and one lucky person is chosen to be our heroine’s hero and spends most of the show onstage with Agent Karen having his (or her) courage and humanity proven in surprising and hilarious ways. 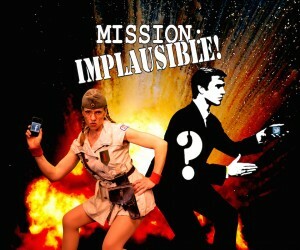 Watch the promo: Mission: Implausible! Read the press: Baltimore Sun, Cville Weekly and UVA Today.